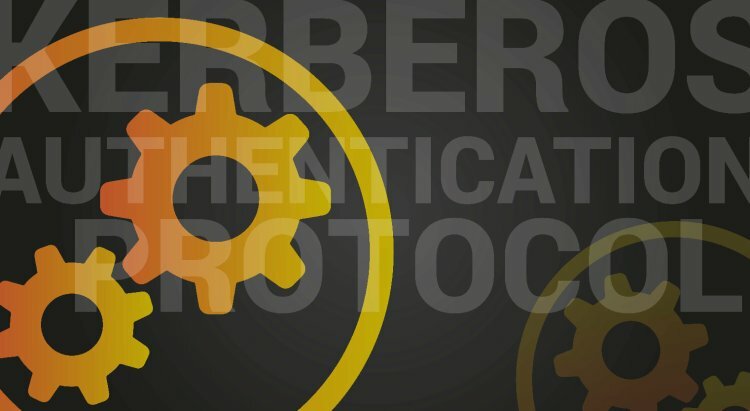 Named after three-headed hound guarding the gates of Hades in Ancient Greek myths, Kerberos protocol provides secure authentication service for computer networks. It performs mutual authentication between the user and the server with help of trusted third-party Key Distribution Center (KDC) that provides authentication and ticket granting service. All major operating systems, including Microsoft Windows, Linux, Apple OS X and FreeBSD, support Kerberos protocol. Kerberos protocol messages are protected against replay attacks and eavesdropping by means of shared secret cryptography. The main purpose of Kerberos is to avoid transmission of encrypted passwords across the network. It eliminates the threat of packet sniffers and enhances overall network security. If Kerberos server is down, users can’t log in. The problem can be solved by using fallback authentication mechanisms and multiple Kerberos servers. Clocks of the involved hosts must be synchronized. Otherwise, authentication will be failed, as Kerberos tickets have certain availability period. Kerberos cannot be used when users want to connect to services from untrusted systems. In case symmetric cryptography is used, compromise of authentication infrastructure will allow an attacker to impersonate any user. Each network service that requires a different hostname will need its own set of Kerberos keys. Key Distribution Center consists of Authentication Server (SS) and Ticket Granting Server (TGS). TGT is a Ticket Granting Ticket. User enters login and password. Cleartext user ID goes to Authentication Server (AS) with request for services on behalf of the user. TGT including user ID, network address and ticket validity period + Client/TGS session key (encrypted with TGS secret key). Authenticator including client ID and timestamp (encrypted with Client/TSG session key). Client/Server session key (encrypted with Client/TGS secret key). Authenticator including ID and timestamp (encrypted with Client/Server session key). Client checks whether the timestamp value is timestamp + 1, which shows true identity of a server. If it is so, the client can trust the server and start working with it. Delegation for Active Directory Users and Computers must be enabled. Go to Active Directory Users and Computers. Find the computer account on which the firewall is installed. Go to Delegation tab and switch to “Trust this computer for delegation to any service” state. setspn -A MSSQLSvc/proxy-host:proxy-port proxy-host setspn -A MSSQLSvc/full-fqdn-proxy-host:proxy-port proxy-host The list of all registered SPN’s can be obtained by the following command: setspn -L proxy-host To delete SPN proxy, perform the following: setspn -D MSSQLSvc/proxy-host:proxy-port proxy-host For testing authorization scheme perform the following command after connecting to the server: select auth_scheme from sys.dm_exec_connections where session_id=@@spid The result will be corresponding to the authentication scheme which has been used by the server: SQL, NTLM or KERBEROS. In case you get an error “Cannot generate SSPI context”, refer to Microsoft support instructions of how to fix the issue with security support provider interface. Getting SSL Certificate with "Let's Encrypt"